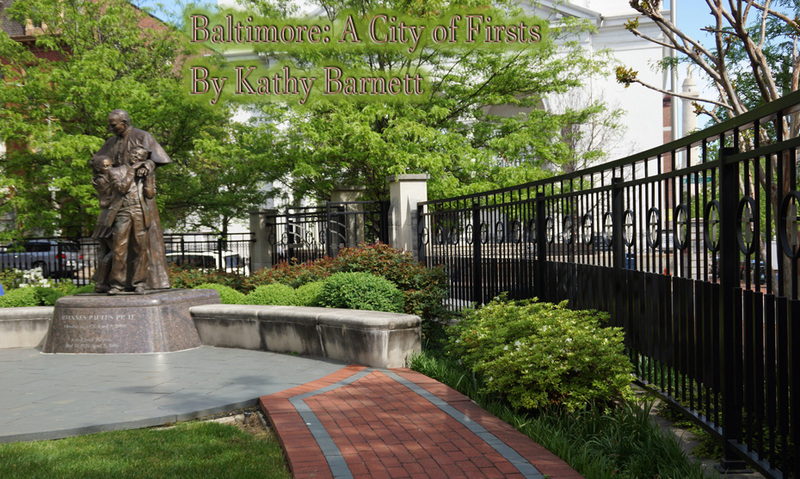 When I visited Baltimore, Maryland recently, I soon learned it is a city full of "firsts." Actually known as a city of monuments, Baltimore is home to the first architectural monument in honor of George Washington, which stands at 178 feet downtown.The Washington Monument in Washington, D.C., was modeled after the Baltimore version, which was erected in 1829. Architect Robert Mills, who designed and built both monuments, made sure it was known that he was the first native-born American with any architectural training. Upon The cornerstone was laid with great ceremony on Independence Day, July 4th, 1815. 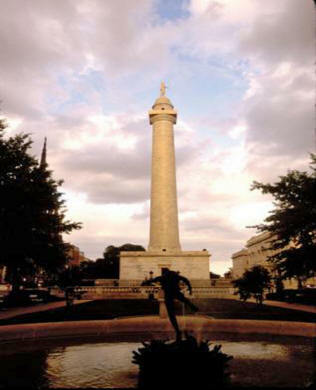 The Battle Monument of the War of 1812 stands as in memory of the Battle of Baltimore, which inspired the words for the lyrics to the National Anthem, The Star-Spangled Banner by Francis Scott Key. The story goes that Key looked through a spyglass and saw an American flag still standing after a rough nigh of British bombardment in Baltimore. Within a week, Key’s verses were printed in Baltimore newspapers under the title "Defense of Fort M’Henry." It was a Baltimore music store that printed the patriotic song with sheet music for the first time under the more lyrical title "The Star-Spangled Banner." There are several museums in Baltimore to store memorabilia and stories of firsts, including the Baltimore & Ohio Railroad Museum, the Baltimore Museum of Art and the Baltimore Basilica, which is the first cathedral constructed in United States following adoption of the new Constitution. 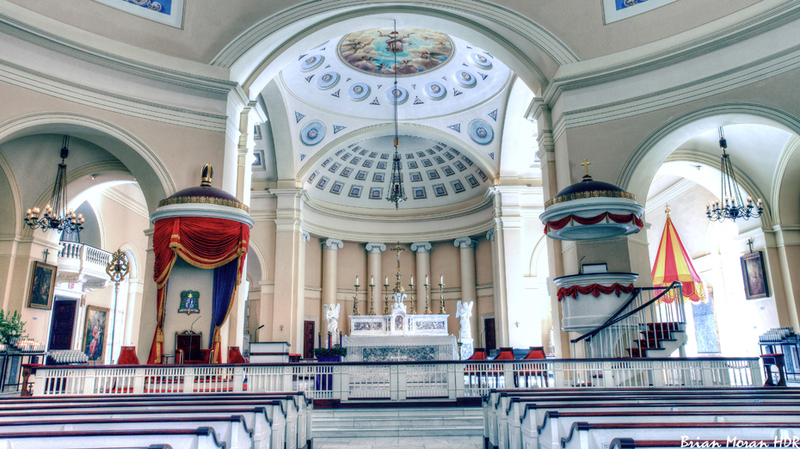 Built between 1806 and 1821, it is also listed as a National Shrine. It got a facelift in 2004, and now educational tours are offered on a daily basis, ending in the prayer garden next to the facility. Convenient accommodations for the weekend were found at The Hyatt Regency located on the Inner Harbor. A walkway bridge connects the parking garage to the shopping and restaurant mall called "Harborplace." It is a close walk to the Maryland Science Center and the National Aquarium. At the aquarium, an insider’s tour gives you a guided view behind the scenes before the Aquarium even opens. Learn from the staff experts as you explore the different exhibits and hear tales about the animals and their habitats. Now if you are very brave, Shark! Behind the Scenes Tour allows you to get close up and personal with these scary creatures. A catwalk above the Shark Alley is a bonus adventure if you dare. Traffic can become scary enough for me and not any too eager to try my hand at driving. So we chose to eat in the Harborplace at Hooters, which was a first for me. I was surprised at the easy-on-the-budget prices and hefty portions. My suggestion is to try the Baja Shrimp Tacos or the Tex Mex Nachos. The nachos were loaded with beef, cheese, quacamole, lettuce, sour cream, and chipotle sauce. They brought enough on one plate to easily fill two people, If you like seafood, Hooters has several entrees offering a nice variety. Right next door is the Baltimore Visitor’s Center, with knowledgeable staff members on hand to offer directions and give advice on what to visit next in this historic city. If you don’t want to wait in line at various attractions, you may buy tickets here. It is also a great place to get stamps for postcards or even ship souvenirs home with their postal services. Another first, Light City is the nation's first free large-scale international light, music and ideas festival empowering social change. In honor of gas street lights (Baltimore was the first city outside England to adopt gas street lights), the festival transforms the city's renowned Inner Harbor into a playground of 23 large-scale light art installations, 35 concerts and more than 200 performances. Look arround and you may see unusual sights like glow-in-the-dark cotton candy, kid-centric performers, youth maker tents, and user-activated illuminated see saws. The site of the first gas street light is at the corner of Baltimore and Holliday streets with a plaque honoring the date of Feb. 7, 1817. The story goes that it is still the original light being used. The majority of the festival events are right along the Inner Harbor’s brick-lined promenade sandwiched between the Harborplace and water. This year’s theme is "More Love, More Lights" with the Neighborhood Lights, April 6-8; Light City art and music festival, April 14-21; and the Labs@LightCity social innovation conference, April 18-21. There will be 21 light art installations on display around the BGE Light Art Walk along Baltimore’s waterfront, and more can be found in 14 neighborhoods throughout Baltimore during Neighborhood Lights. 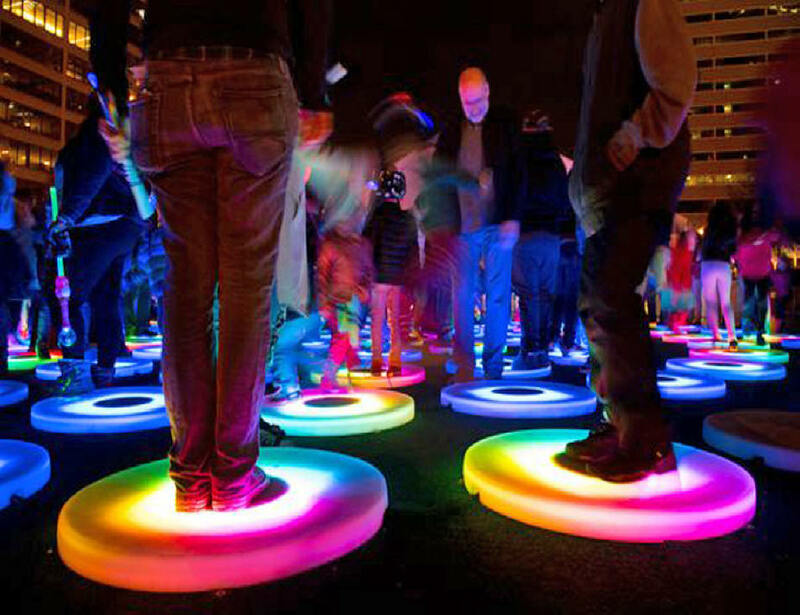 Other entertainment along the Baltimore Gas and Electrict Co. (BGE) Light Art Walk includes interactive, illuminated strolling and pop-up performances and a full schedule of live concerts and DJ sets on two stages. Labs at Light City is seven themed conferences with a "Pay What You Can" ticketing system to allow even more people to afford the sessions. The BGE Light Art Walk features art installations, performances, concerts, a fun-filled family zone and special moments including a parade on opening night and a burst of fireworks on the final night. The festival’s food and beverage offerings will all be from locals. For a full list of events and detailed schedule, visit online at https://lightcity.org/schedule. For those in your party who love baseball, be sure to take time to visit Babe Ruth’s birthplace and museum. Setting several records in baseball, he was known for the first to hit 714 home runs during his career. That record wasn’t broken until 1974 when Hank Aaron hit 715. Exhibits show off Babe’s records for pitching, batting, and catching. They are open daily 10 a.m. to 5 p.m. from April through September, closed Mondays during winter. For only $10, view the home and museum. Back at the hotel, before departing, we ate at the Bistro 300, which serves fresh local ingredients whenever possible. A beautiful breakfast buffet is served on the weekends from 6:30 a.m. to noon. If you prefer to eat in the privacy of your room, there are to-go orders and room service. Whether you are traveling alone or with the whole family, Baltimore is an inspiring place of "firsts" to enjoy again and again.